Whether your equipment is stored in an equipment yard or deployed to a site, most of our customers want to know the current status and location of their portable generators, as well as if it's moving. 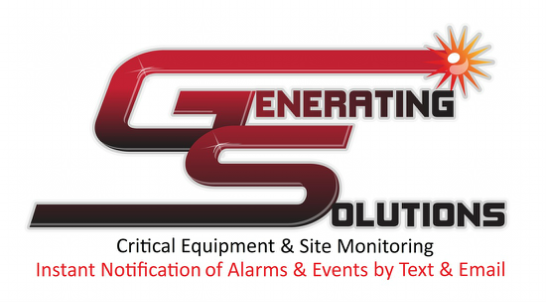 Like stationary generators, we provide various alarms but we are also able to show the location using GPS antennas and set up a Geo-fence alarm perimeter. If someone tries to move the unit, the Geo-fence alarm sends you a text message and/or email alerting you that the unit is moving. From the web portal you can follow a tear-drop trail in the Mapping Tab, showing the current location as it moves down the road. *Note: Alarm and event availability may vary by generator manufacturer and type of control. Activated anytime the engine is running. Activated when pre-programmed values are out of tolerance. Activated when the engine shuts down while in run mode. Activated when battery voltage is above or below nominal voltage. Activated when engine block heater has failed. Activated when engine coolant level drops below its preset level. Activated when control switch is out of Auto position. Activated when engine temperature exceeds preset value. Activated when engine oil pressure drops below preset value. Activated when fuel level reaches low preset level. Allows for remote start and stop of generator from Web Portal.